The main aim of a Governing Board is to ensure the delivery of a high standard of education for all pupils in its care. Our Governors are responsible for helping our school provide the best possible education for each and every one of our children. 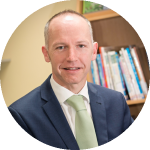 Together with the Headteacher and the Leadership Team the Governing Board lead our school, setting the vision and helping drive the school forward to ensure the best life chances are secured for every child. Our Governing Board come from various areas of the community and give their time and expertise on a voluntary basis. We are very lucky to have such a dedicated team of people supporting the school community. The Clerk can be contacted at school and is happy to advise on any queries you may wish to raise with the Governing Board. The minutes of the Governing Board meetings are available to view from the Clerk to Governors. I am Andrew Willoughby and I have lived in Alford for most of my working life. I am a retired teacher, having worked for many years as Director of Music and Head of Lower School at Queen Elizabeth’s Grammar School, Alford. I am now the Musical Director of Alford’s choir, The Elizabethan Singers. I have long connections with Alford Primary School. My three children were all pupils there and two of my grandchildren currently attend the school. It is a safe, happy, welcoming school in which each child is given every opportunity to do his or her best. I am proud to work with the Headteacher, staff and pupils in this creative, exciting school. What do I do as a Governor? 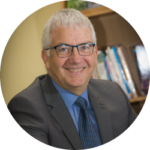 As Chair of the Governors my aim is to help the school to build upon its many successes. In doing so, the priority is always to ensure that all pupils get the best possible education in an environment in which they feel happy and safe. I enjoy working with our dedicated and talented team of Governors and staff, all of whom work with passion and determination for the good of the children. I meet weekly with the Headteacher and come into school regularly to meet staff and pupils. I am a member of the Governors’ Pupil Progress and Welfare committee. Two family members are currently employed by Alford Primary School as teachers. My name is Rebecca Agate. I have two children, who are pupils, at Alford Primary. My family moved to the Alford area 5 years ago and I run a local business which I own with my husband. Why am I a Governor? I want nothing more than for the school to thrive. I've been hugely impressed with our children's teachers and from our first visit to the school it was clear that it's well run and combines a good quality education with a warm and caring environment. I know that, like all modern schools, it faces challenges which a supportive board of governors can help to work through. As a new Governor I attend the Finance and the Fabrics committee meetings. I have professional experience overseeing complex projects and large budgets – skills I hope will allow me to contribute to the school as my role develops. Owner/Partner of a local business, Member and Chair of Farm & Countryside attractions group. Member of Love Lincs Wolds marketing organisation. 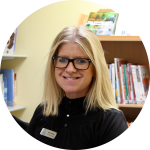 My name is Caroline Bailey, I am Year 3/4 Team leader & teach a class in Year 4. Hi, my name is Joanne Bowen and I have lived in the local area all my life, therefore I am very aware of the benefits and also the disadvantage of living in a rural mainly seasonal area. 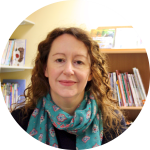 I have worked supporting children and families for the last twenty-five years at both Primary, pre-school and secondary level. After recent cuts by Lincolnshire County Council where I worked as a Parent Support Advisor for 8 years, I decided that I still wanted to continue to support and advise local families and therefore I became self-employed. I love singing with the Elizabethan Singers based in Alford and enjoy all forms of dance. Why am I a Governor at APS? I believe that a school is the heart of the community and I am very proud to be part of the team of governors at Alford Primary School. I have worked with the school for the last 9 years and am always impressed when I visit the school with the calm environment, keen, happy and helpful pupils and dedicated staff. I check that all the staff that work in the school have had the appropriate and relevant checks to ensure the safety of the children. I also ensure that the children who experience more challenging circumstances are receiving good quality education and experiences to meet their needs. Employed by Alford Prmary School as a Parent Support Advisor. Daughter employed as an Apprentice Teaching Assistant at the school. My name is Lisa Button and I am an Associate Governor. 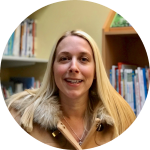 I am also the Deputy Headteacher, and have been working at Alford Primary School for 17 years - teaching in Years 2, 5 and for the most part, Year 6. I continue to lead teaching staff and support pupils in Year 5 and 6. Being part of the senior management team, I am well-placed to support the Governing body in leading the school. 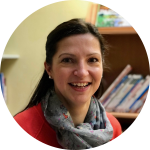 My roles include leading Teaching and Learning through the school (with a particular focus on English), as well as assimilating and analysing pupil outcomes. Employed as Deputy Headteacher at Alford Primary School. Hi, my name is Krissy and I have lived in the Alford area all of my life. Having myself attended Alford Primary School I now have a son who attends and a daughter due to start shortly. I currently work part time at the local GP surgery. I believe APS is an excellent school and I am keen to help wherever I can to keep the good work going and to offer my perspective as a parent. Staff and children are always friendly and helpful and its nice to see them so happy. I have many fond memories from when I attended the school and would like the future generations to have the same experience. I support the Governing Body to ensure the school provides the best possible education to all children and to drive forward the schools vision to offer the best life chances. I attend meetings regularly and look forward to getting more involved in the future. My name is John Hynes and I moved to Alford in 1999 with my wife and, since then, our three daughters have been born. One of our daughters presently attends Alford Primary School. As well as living in Alford I also work in the town as a Partner in the firm, Tinn Criddle Solicitors. In addition to being a Governor, I am involved in a number of organisations which promote Alford and the facilities it has to offer. I believe Alford Primary School provides an excellent learning and caring environment for children to develop and flourish. I am keen to help support and promote this in my role as a Governor. I am the Chair of the Finance Committee which has the responsibility of ensuring the School is run on prudent financial principles. This is a challenging and rewarding Committee to be involved with. Partner of Tinn Criddle, Solicitors. I am Paul Lock and I am originally from Kent, but moved to the local area to finish my secondary Schooling and further education. I have then gone on to run my own businesses in and around the County, as well as sitting on the local Sports Hall board of Trustees. I have worked in Alford Primary School for over 10 years and my eldest child is a pupil at APS. My experience across a wide range of business sectors helps with strategic planning and analysing of the business aspects of the School. I am proud to work with the Headteacher, staff and pupils in this creative, exciting school. As a Co-opted Governor my aim is to help the school to keep running as efficiently and effectively as possible. I enjoy working with our dedicated and talented team of Governors and staff to help the school to build upon its successes. I am in School on a bi-weekly basis and am a member of both the Governors’ Finance and Fabric committees. 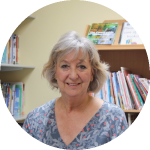 Hello, my name is Diane Newbery and I live in nearby Sutton-on-Sea where my two children attended the local primary school and then went on to secondary schooling in Alford. Whilst my children were young, I ran my own business, managing and maintaining holiday properties in the area. I also worked voluntarily as a member of the Radio Lincs Area Committee and the BBC Regional Committee in Leeds. Then I joined Alford Primary school office in 1986 as Administrator and Clerk to Governors. Latterly I became the bursar and still work occasionally as a consultant bursar. I am also a Company Secretary to an international automotive news agency. Over the past years, I have been very happy to work in this primary school where children are valued and an ethos of high expectation drives staff and pupils alike. It has been a pleasure to get to know families whose children (and now parents) have attended the school. Therefore, I was delighted to be co-opted as a Governor so that I can continue my association with the school. I am on the finance committee where I can support governors in their core task of managing the financial strategies of the school. It is governors’ responsibility to set an annual base budget, and, if there is any money left over, allocate funding to the school improvement priorities. The finance committee are responsible for setting the draft base budget which is presented to the full governing body. 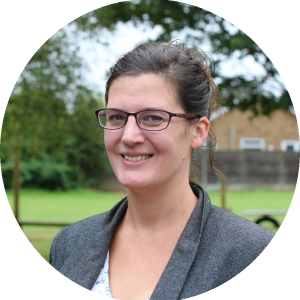 I am also the governor with responsibility for English and I look forward to working with staff and the deputy head in this role. Employed as a zero hours Bursar at Alford Primary School. Daughter is employed by Alford Primary School as a Finance Assistant. Currently employing builder (JHA Winter) who is occasionally used by the school. Employed as Headteacher at Alford Primary School. Director of 344 Brownhill Road Ltd. (Resignation submitted). My name is Christina Wood. 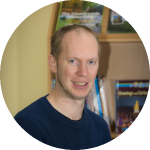 I have lived in Alford for the last ten years and work as a primary school teacher in Louth. I have two children who both attend Alford Primary School. I believe the school works extremely hard to ensure it is the very best place for our children to grow, both academically and socially. I became a parent governor at Alford Primary school to help support the school work towards these aims. My background as a primary school teacher gives me an understanding of how schools are run and the curriculum. This enables me to provide practical and relevant support to the school. Teacher at St Michael's Primary School, Louth.